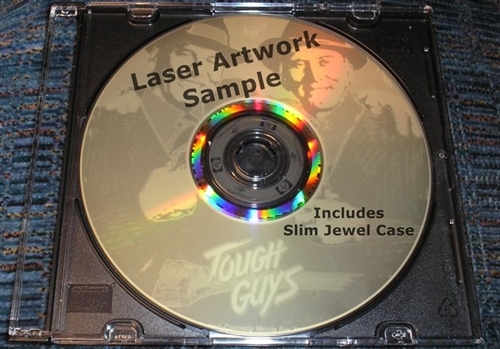 Full Studio DVD Release, movie only no menus on DVD R! -----> Upgrade to Add Another Rare DVD to add * Split Second Rutger Hauer 1992 * on DVD+R ! ! The shocking Irish Horror Film from 1986 is now fully unleashed on DVD. Rawhead Rex is a Demon sent to us strait from Hell. Rex was alive for a millennium then trapped in the bowels of purgatory and there awaiting his release. Rawhead is kept in check by an ancient seal and he's been imprisoned by this for centuries in an empty field near hamlet of Rathmore in Ireland. Rawhead Rex is a must own for any serious horror fan. After sometime Rex's gruesome legacy has been all but forgotten and then dismissed as a legend of pre Christian myth. That is until Tom Garron decided to plow the field that his ancestors knew far better than to disturb. The ancient seal is broken and an unspeakable and raw evil is unleashed to begin a rampage of blood letting and lust across Ireland. David Dukes plays Howard Hallenbeck, an American historian whos happens to be taking a working vacation in Ireland. Howard discovers a piece of stained glass on the windows of a local church where a series of scenes illustrate the utter reign of terror of the mythical Demom known only as Rawhead Rex. Howard notices that the one piece of glass, depicting the defeat of Rawhead Rex, is missing. Howard is desperate for answers top this missing piece of the puzzle and about the mythical Demon Rex. Now Rawhead Rex is truly on the loose, and he has as insatiable craving for human flesh and the more innocent the better he likes it. Rawhead Rex is a very cool low budget 80s horror filmed in good ol' Ireland. Rawhead Rex DVD is a fun and clever 80s horror film with some great makeup effects and a cool monster! Rawhead Rex 1986 DVD is a cool 80s horror film from Ireland and will entertain throughout. 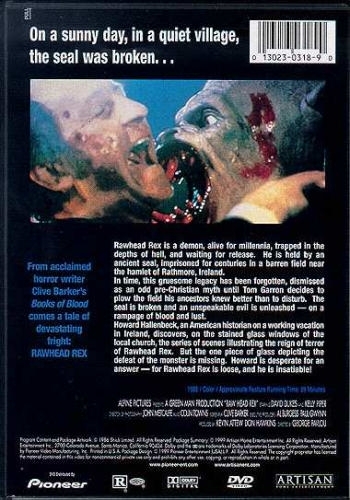 Rawhead Rex DVD is a fun 80s horror entry from Ireland. Rawhead Rex DVD is a fun and scary 80s horror gem.